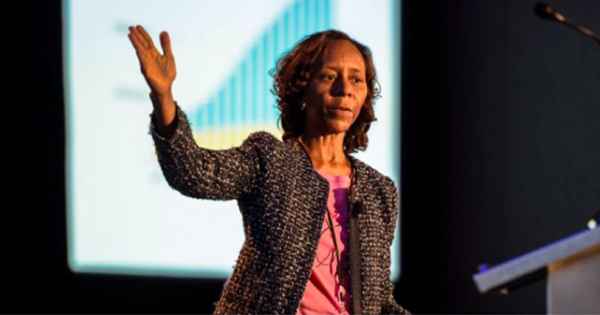 Meet the Black Woman Who Created VOIP -- The Technology Behind Skype, MagicJack and More! Most people have no idea that Marian Croak, an African American woman, has been credited with initiating and furthering the development of VOIP, also known as Voice Over Internet Protocol. Her groundbreaking technology allows people to efficiently communicate through audio and/or video while using the internet. In fact, it's the very technology used by popular companies like Skype, MagicJack, Vonage, and more. Marian, who holds a PhD in quantitative analysis from the University of Southern California, has more than 125 patents in VOIP technology. She has worked at AT&T for more than 30 years in data services, and is currently a Senior Vice President at the company. She manages over 2,000 world class engineers and computer scientists responsible for over 500 programs impacting AT&T’s enterprise and consumer wireline and mobility services. Marian says that when the internet first become popular, she predicted that IP and the internet "were going to explode." She thus felt a need to start developing technology that would "transform the internet". And she did exactly that; She developed the fundamentals for what is now called VOIP. Now there is a billion dollar industry based on the technology. There are hundreds of companies worldwide that offer VOIP services. They started out by offering business models and technical solutions that mirrored the architecture of the legacy telephone network, but now the industry has evolved. The concept of federated VoIP was born which allows dynamic interconnection between users on any two domains on the Internet when a user wishes to place a call. With that technology, calls and SMS text messages can be sent over mobile data or Wi-Fi using VOIP phones (software-based softphones or hardware devices), personal computers and tablets. Marian's contribution to VOIP has literally taken the internet to a new level, but sadly most people have no idea who she is!